In large bowl, combine all ingredients except flour and colored sugar; beat until light and fluffy. 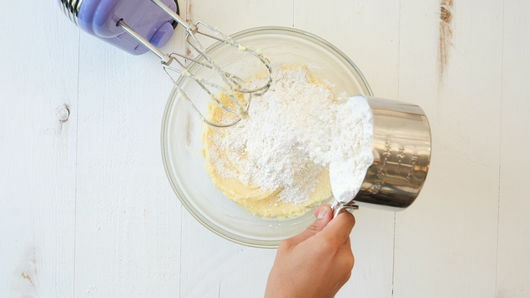 Add flour; mix well. Shape dough into 3 disks. Wrap dough in plastic wrap; refrigerate 1 hour for easier handling. Heat oven to 375°F. 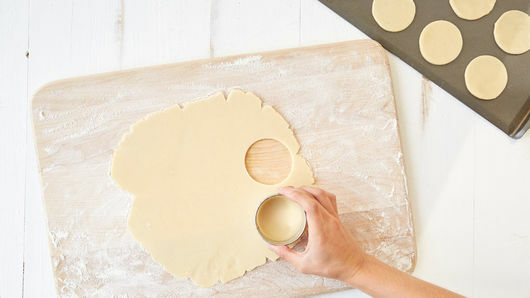 On floured surface, roll out 1 disk of dough at a time to 1/8-inch thickness. (Keep remaining dough refrigerated.) 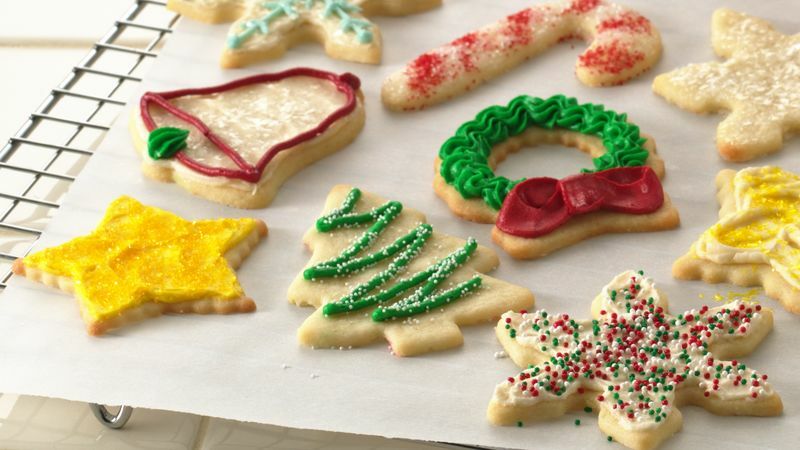 Cut with lightly floured 2 1/2-inch round or desired shape cookie cutters. Place 1 inch apart on ungreased cookie sheets. Decorate with colored sugar. Bake at 375°F. for 6 to 10 minutes or until light golden brown. Immediately remove from cookie sheets. If desired, frost and decorate plain cookies. Is it possible for sugar cookies to get any better? 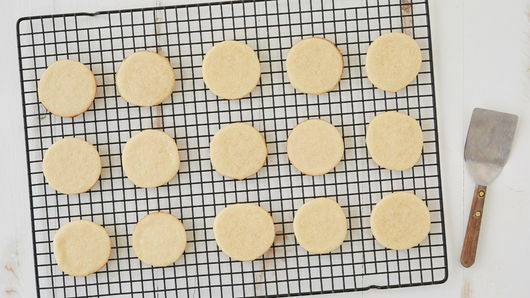 Yep, it is, thanks to this incredibly moist, soft sugar cookie recipe. The not-so-secret ingredient? Cream cheese! It adds just the right amount of richness, and combined with a bit of almond extract, gives these cookies a delicious taste your whole crowd will love. (Don’t have almond extract? You can easily take this out and replace it with vanilla extract instead!) 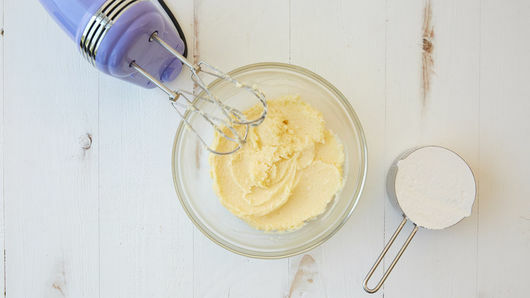 Adding cream cheese to the dough will make it a bit stickier than other sugar cookie dough varieties, so make sure that your work surface is properly floured and that the dough has some time to chill before you start rolling it out and cutting. These cookies taste great on their own, but are also the perfect blank canvas for you to practice your cookie decorating skills! Sprinkle with colored sugar, or frost ‘em using our easy, fluffy sugar cookie frosting recipe.